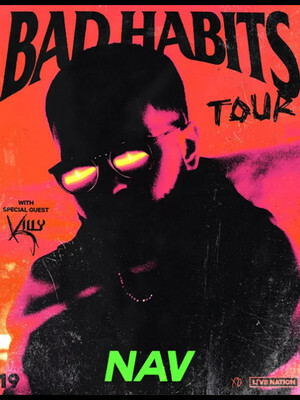 Punjabi-Canadian hip-hop phenomenon Navraj Singh Goraya, AKA NAV, is capitalizing on his meteoric rise from enigmatic Soundcloud-mix-tape-releasing newcomer to a fully-fledged artist who is hitting the road fresh off the release of his new album Bad Habits. The upcoming tour will be in support of the recent album, being played in its entirety. The trek will feature fellow-Canadian artist Killy as the supporting act. 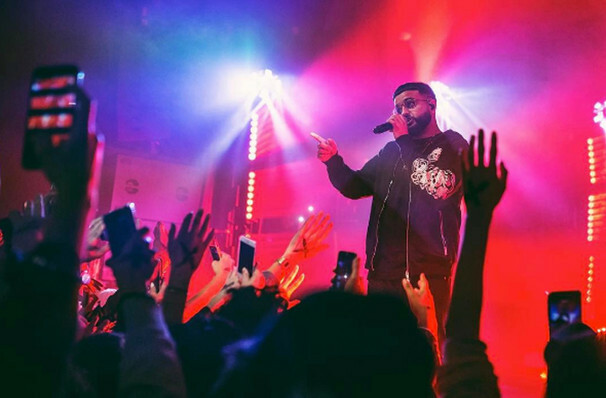 In 2015 NAV had been building a steadily-growing fanbase with his DIY self-releases when social media queen and fan Kylie Jenner endorsed his sweet, soulful pop-rap, leading to collaborations with Travis Scott and Lil Uzi Vert. Evoking a lavish champagne lifestyle and the finer things in life, NAV's sparse trap beats underpin his autotune-tinged, hypnotic rhymes. On trend and in demand, the unassuming star takes the melodic lilt of moody mumble-rap to new heights with silky vocals and slick production. Sound good to you? Share this page on social media and let your friends know about NAV at House of Blues. Please note: The term House of Blues and/or NAV as well as all associated graphics, logos, and/or other trademarks, tradenames or copyrights are the property of the House of Blues and/or NAV and are used herein for factual descriptive purposes only. We are in no way associated with or authorized by the House of Blues and/or NAV and neither that entity nor any of its affiliates have licensed or endorsed us to sell tickets, goods and or services in conjunction with their events.